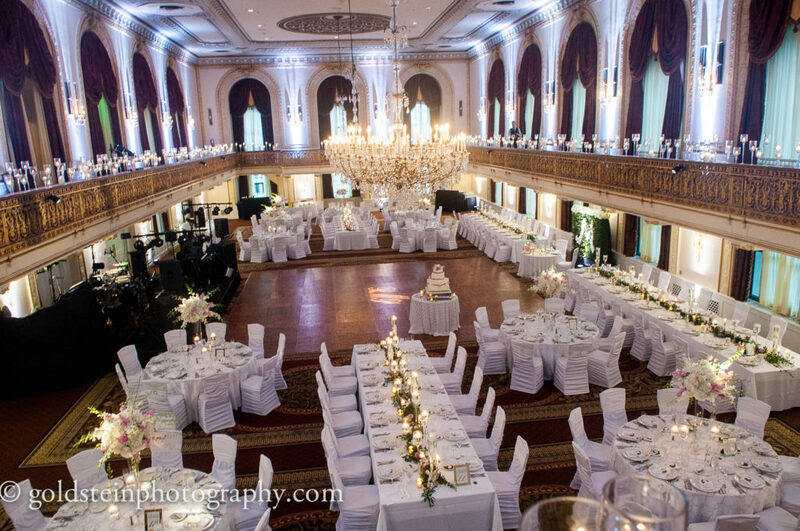 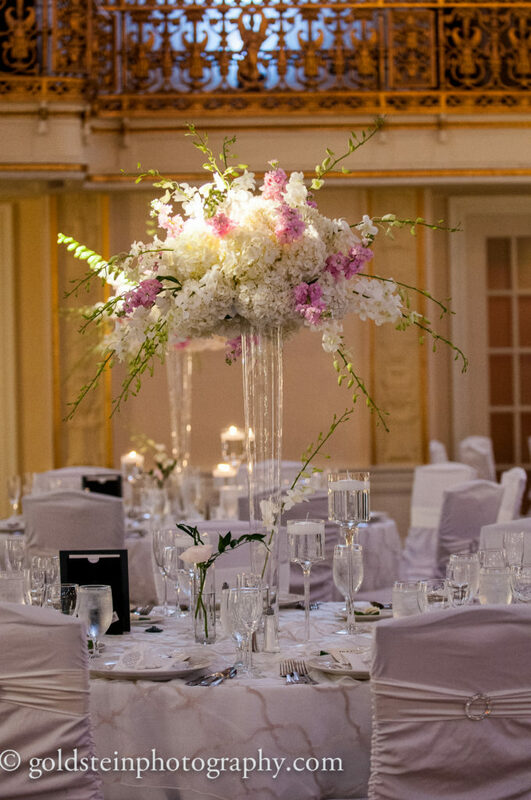 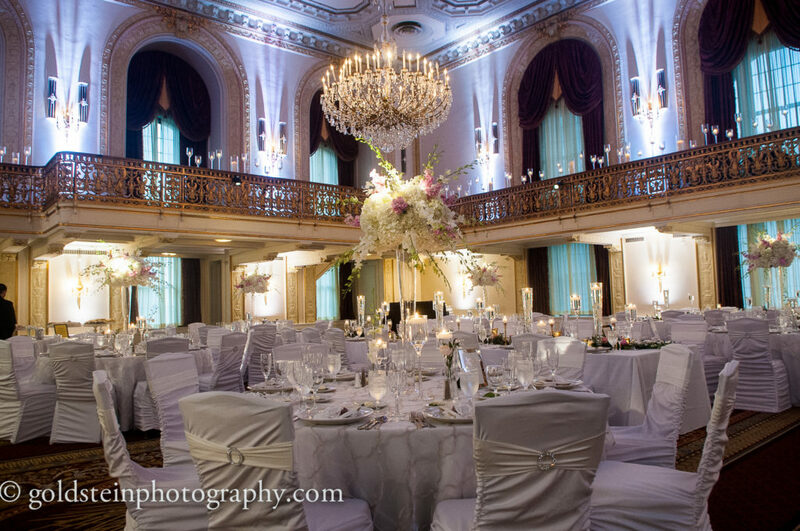 Renee and Paul’s wedding at the Omni William Penn Hotel, with lush white and pink flowers, greenery garlands, and a custom white rose monogram wall was nothing short of soft, elegant, and beautiful. 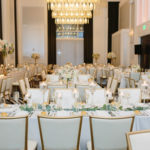 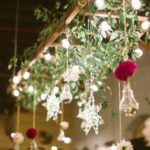 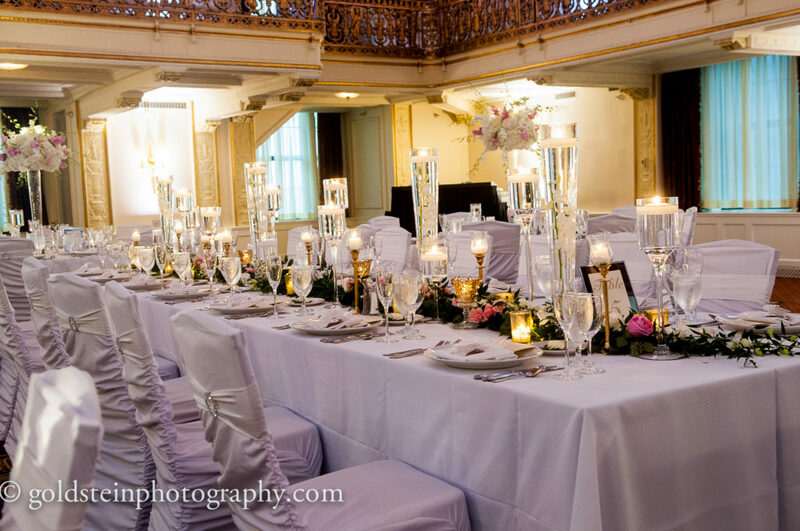 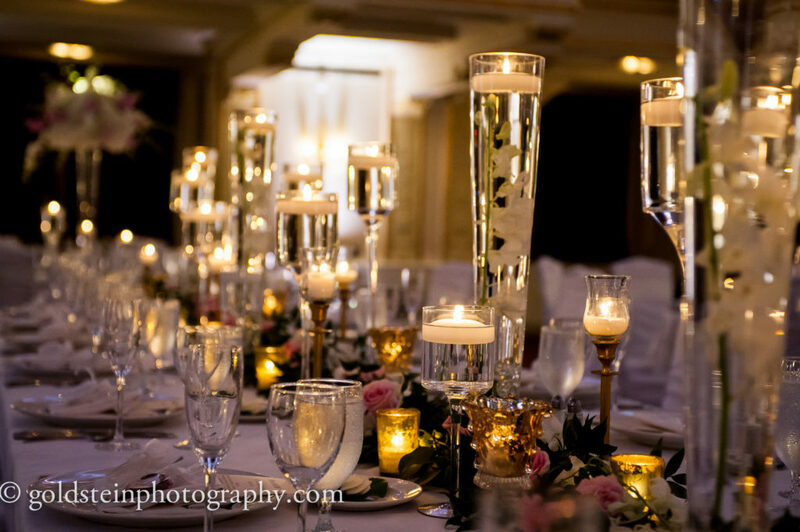 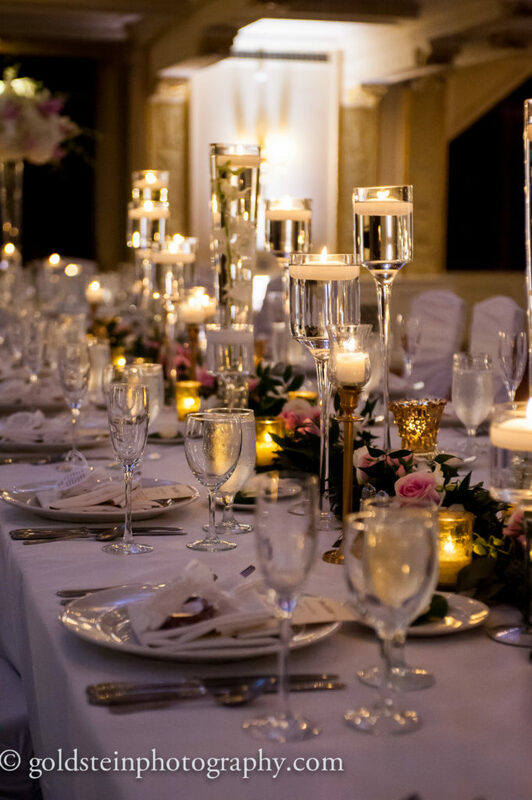 Lots of candlelight, including candles lining the balcony in the Grand Ballroom added even more romance to the space and personal touches throughout the entire day made it unique to the couple. 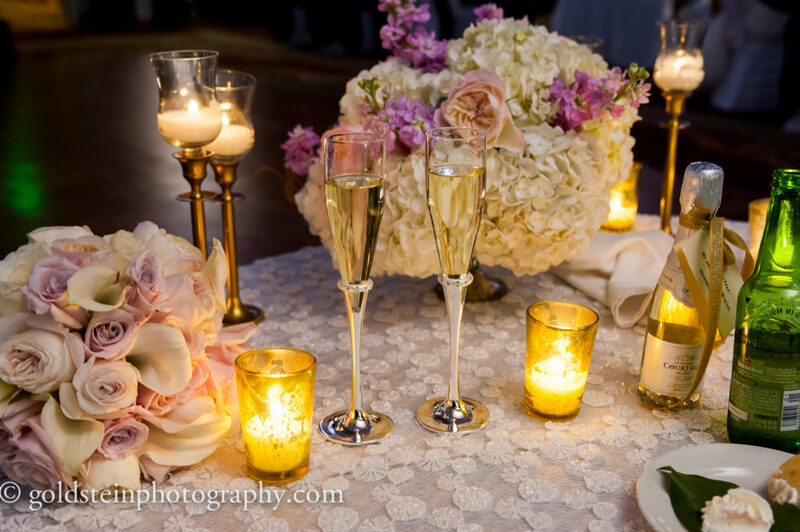 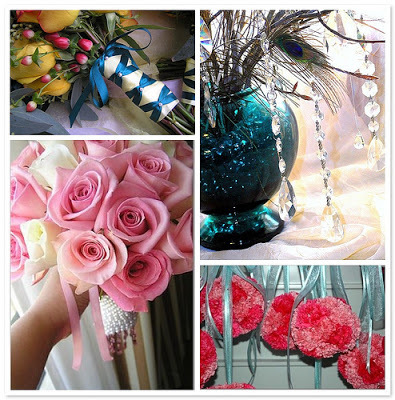 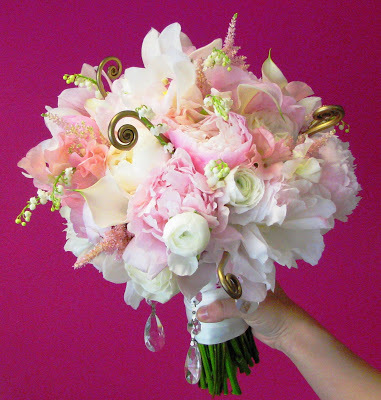 Goldstein Photography elegantly captured all of these details and have provided photos for us to share with you! 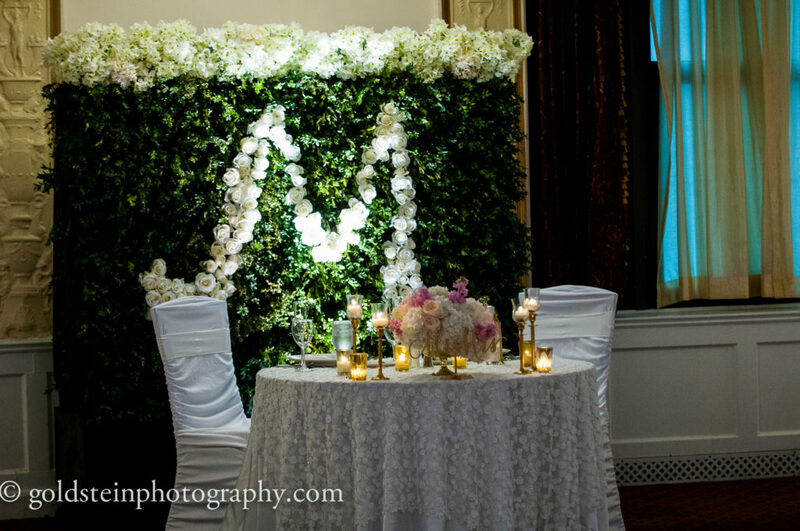 We added a monogram “M” to our custom built boxwood wall for Renee and Paul as a backdrop for their sweetheart table. 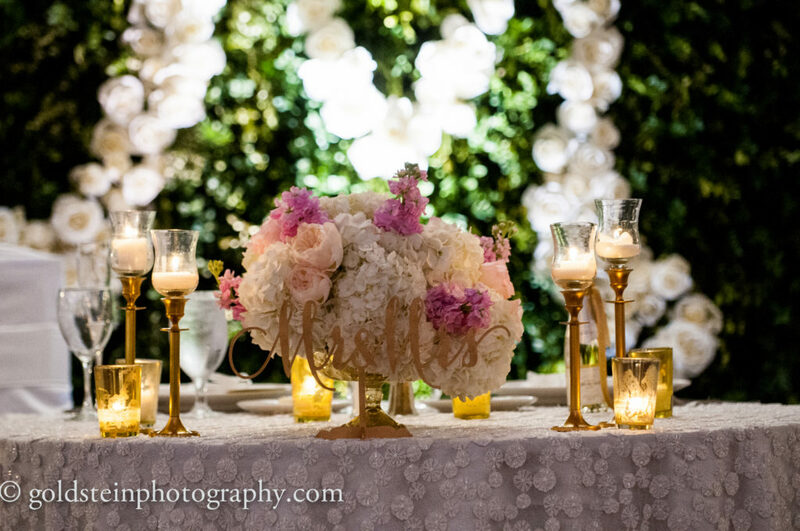 We love this personalized touch and statement backdrop all in one design! 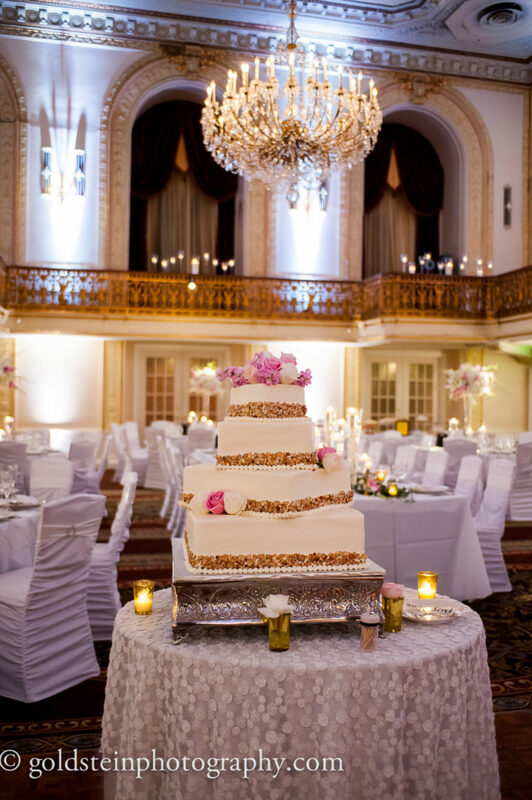 Renee and Paul selected Prantl’s burnt almond torte for their wedding cake (yum!) 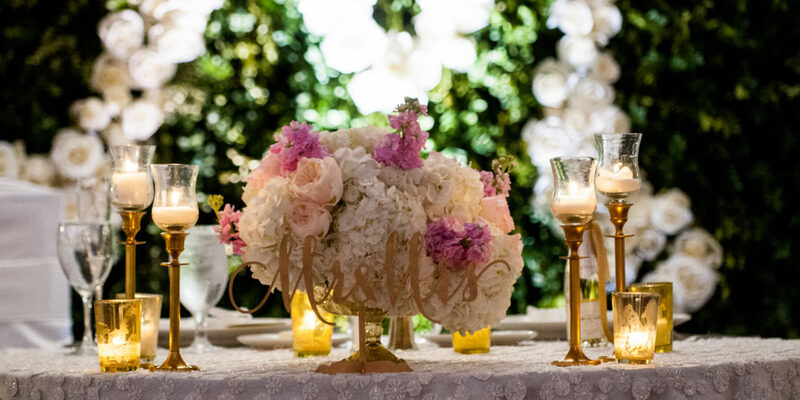 and we kept the floral accents simple to let this beautiful, and uniquely shaped cake shine.